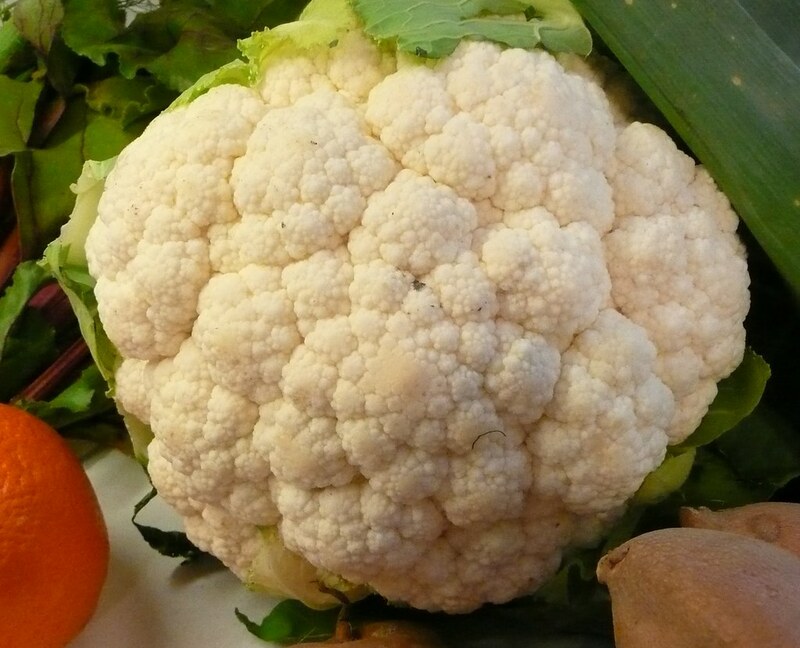 Cauliflower is a cruciferous vegetable, meaning it is “of, relating to, or denoting plants of the cabbage family (Brassicaceae, formerly Cruciferae)” according to Google. It is of the same species as kale, broccoli, cabbage, collard greens, and brussels sprouts and in the same family as daikon, arugula, rutabaga, and bok choy, to name a few. It is also consider an anti-inflammatory which is good because many of the (overly) processed foods we eat are consider inflammatory. And scientist are linking chronic inflammation with a whole list of diseases and ailments. 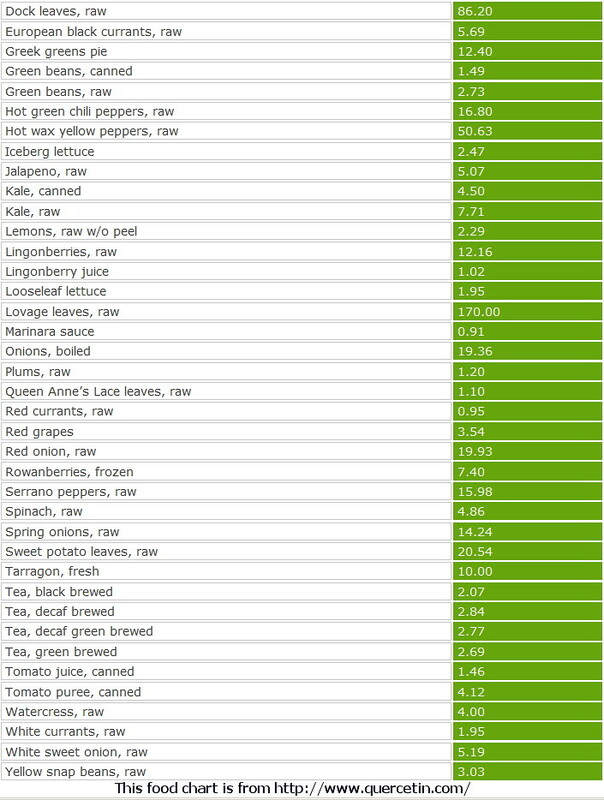 So, I am all for foods that will help with inflammation. Although, I am not really a fan of cauliflower. I don’t grab it off of a veggie tray at potlucks. I don’t put it on my plate when it is offered as a cooked side. I am not a fan. Because I am not a fan I do want to try the myriad of recipes that include it and make it the star. Like the cauliflower pizza crust or the version of macaroni and cheese made with cauliflower or the many recipes that used riced cauliflower. I will get to some of those one of these days. But first a little about cauliflower. To me it is pretty tasteless. It has no flavor really. Not that I can remember . . . but then again I can’t remember the last time I ate just cauliflower. I have cooked it and used it in this yummy stuffed portobello recipe. 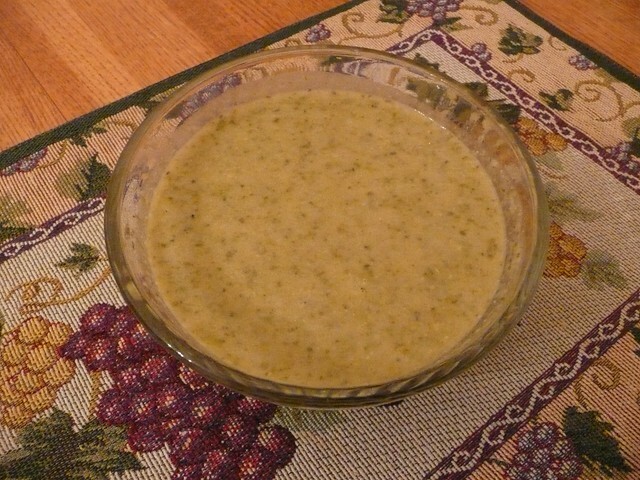 It is one of those vegetables that can add substance but not really flavor. That is probably why it goes so well as the base for some many things . . . you can make it taste like anything because it tastes like nothing. 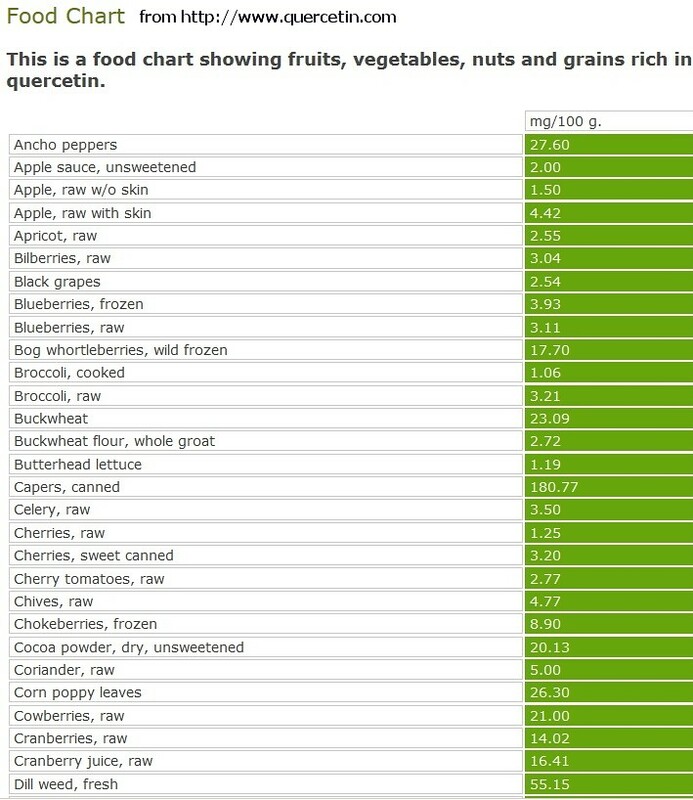 But in addition to it being an anti-inflammatory it has a very low Glycemic Index. The GI as you may know affects our blood sugar so food low on the index help with keeping the blood sugar level even. Also, it is high in vitamin C, giving you 75% of the DV% in a cup. It also contains vitamin K, folate, pantothenic acid, vitamins B6, B2, B1, and B3. Also fiber, potassium, and protein. It also comes in different colors. There is white, orange, and purple. 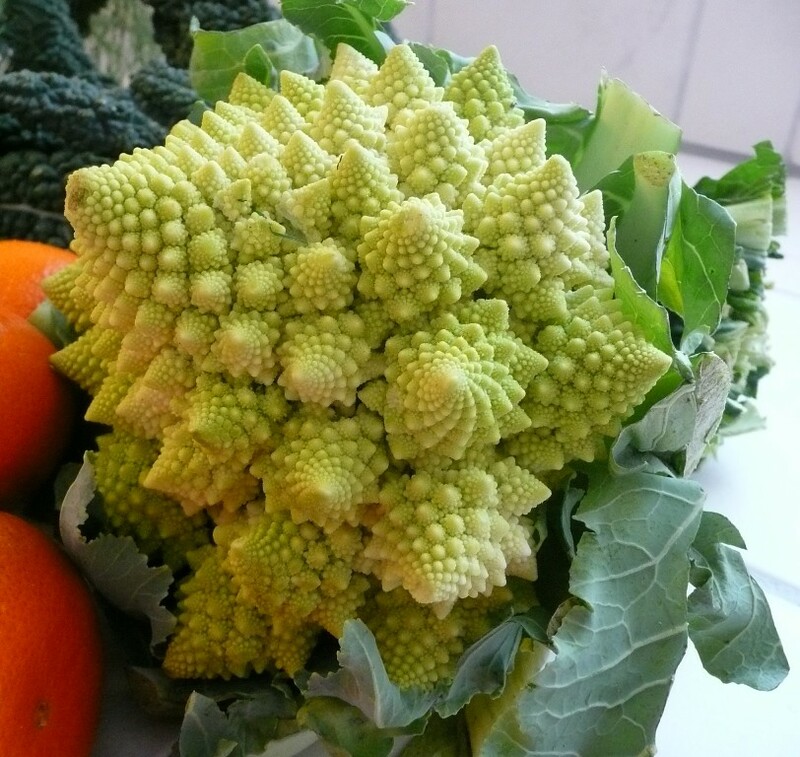 There is green cauliflower with the normal shape and the Romanesco Broccoli or Italian cauliflower kind. I’ve had that before. I roasted it (surprise!) and it was kind of sweet. The texture was odd. Recently my friend posted something about cauliflower on Facebook. She had recently made a recipe that she had to explain to her child. It got me curious and I ended up making it . . . hence the post on cauliflower. 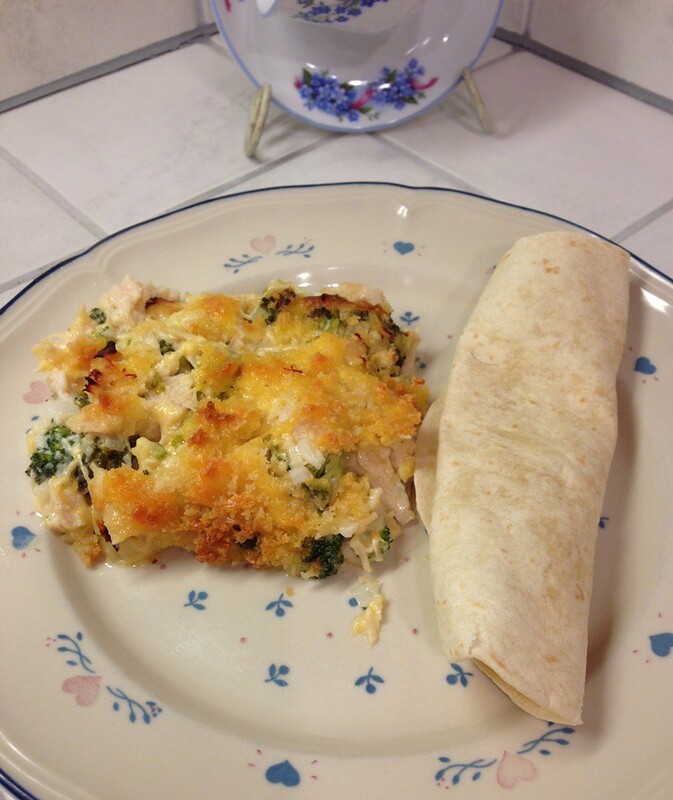 I am in love with this recipe and it has cauliflower in it. 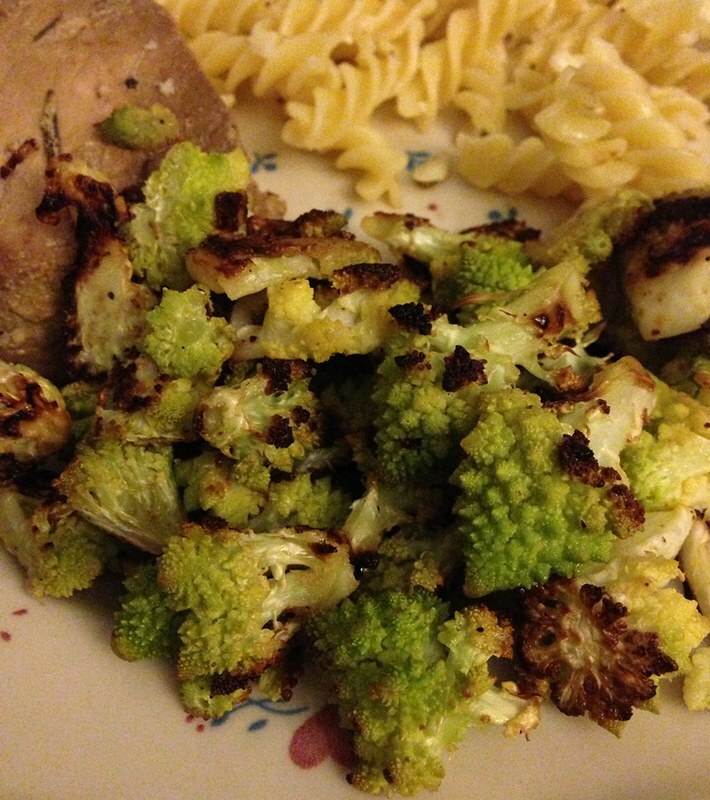 It is a really yummy way to eat cauliflower. But I will save the recipe for another post. For now you can tell me: Do you like cauliflower? How do you eat it? Do you eat it raw? Do you cook it? How? Have you tried any of those recipes like the cauliflower pizza crust? Sometimes I just can’t believe that I have not posted about something before. I guess, I assume I posted about it so then I don’t post about it. Crazy. Then I look for it on my blog and it doesn’t come up. I have to say that the “search” feature on this blog is very odd. I can type in the exact phrase I am looking for and the post not come up. Then I can type in another search and the one I was looking for originally will show up in the second search. I kind of think of it as a crap shoot. But I have searched for this recipe over and over again and I cannot find it. So I am going to post it. One thing that I think is funny about this recipe is that once I was going to go to a potluck and we were asked to bring a vegetarian side dish. This is the first thing that popped into my head. So when I go to make it I realize that it has bacon in it so that would disqualify it as vegetarian. And then I laughed because I forgot to get the bacon anyway. Of course, had I remembered to get the bacon I would not have put it in because just leaving it out makes it perfect for vegetarians. The last time I made it I ended up using a lot of broccoli so I decided to add more of everything else and I ended up with too much sugar, too many raisins, and not enough bacon! Also, it didn’t help that I didn’t put on enough salt. 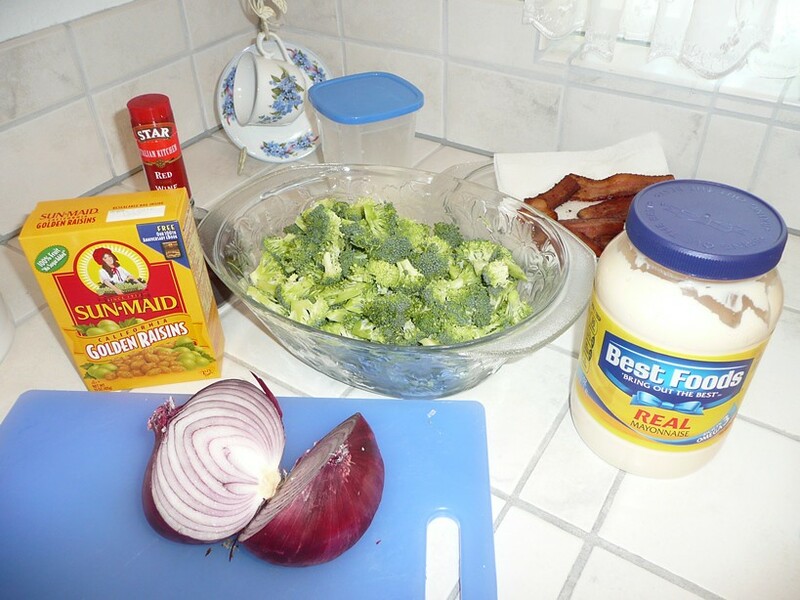 Many people who don’t like broccoli claim to like this salad. 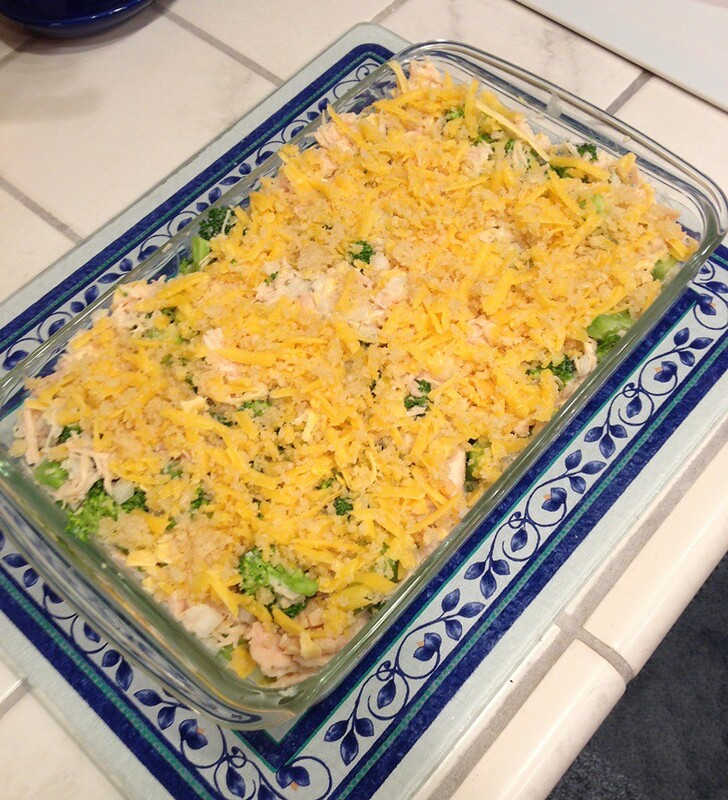 This is a recipe that a friend introduced me to, so I call it her salad, but I didn’t get her permission to use her name so I am just calling it Broccoli Salad. 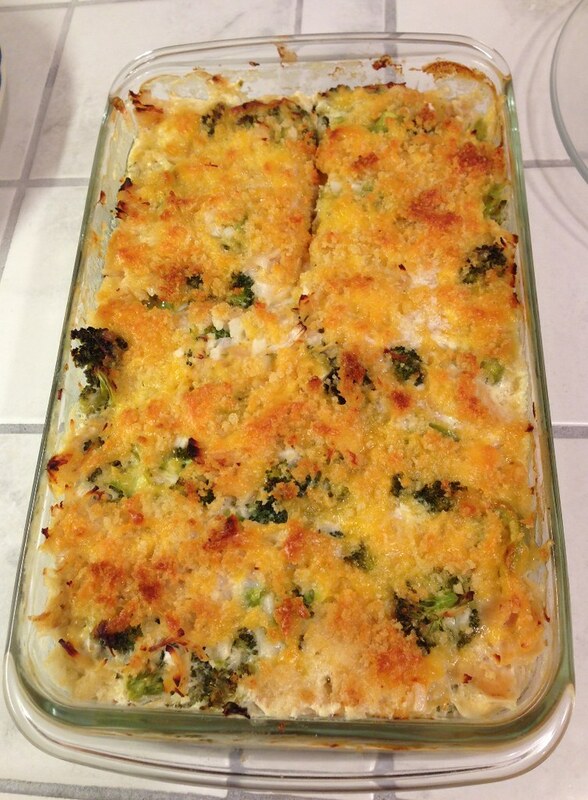 I have adjusted the recipe better fit the proportion of broccoli. Wash the broccoli. 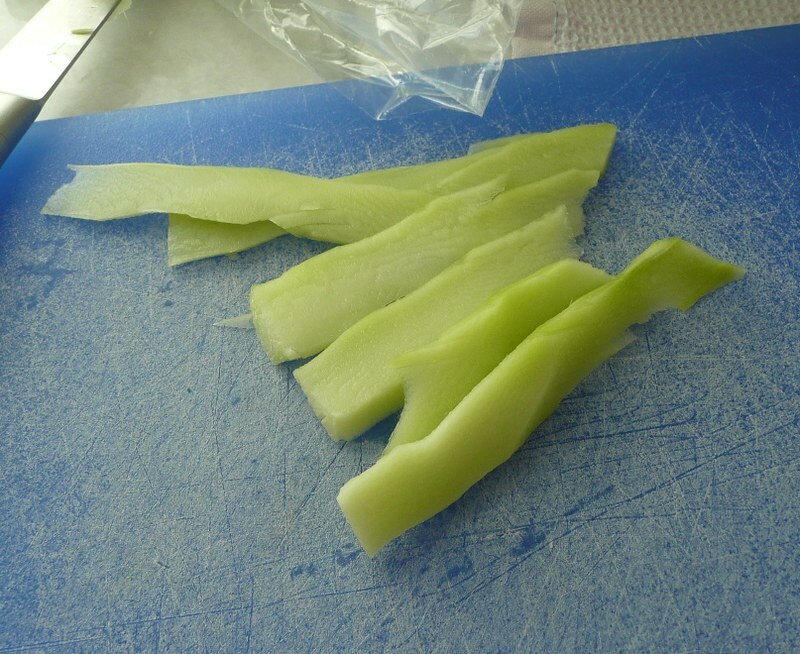 Cut the broccoli into bite sized pieces. Cook the bacon. Drain the bacon. If you are one who uses a paper towel on the bacon to help sop up the grease, do that, too. Chopped up the bacon. Once the bacon is chopped up it will be about a cup. Mix the mayonnaise, sugar, and vinegar together. Then pour it over the broccoli. Then mix in the chopped onion, the raisins, the sunflower seeds, and the bacon. Add salt and pepper to your own tastes. This salad is nice served chilled, not cold, but chilled. But it is also ok to be room temperature. You can use regular raisins or even dried cranberries if you want. I have only made this a couple of times and my husband loves it. My friend, the one who gave me the recipe, says she makes it all the time. I can see why. It is very easy and it is very tasty! Do you like broccoli? Do you like bacon? Doesn’t this sound great? After a I teach Nia I am sweaty and going from a somewhat warm studio to the cold when you are wet is not fun. After Nia class yesterday I was so cold I just wanted to go straight home, but I had one stop to make in Willow Glen. But after that I had planned on jumping on the freeway and going straight home. Sometimes getting off the freeway at our exit is difficult. The most direct route requires one to go from the exit ramp across three to four lanes of a sometimes busy street. Most of the time I can safely move across to the turn lane, but every once in a while it is too trafficky and I don’t believe I should stop the people behind me on the ramp NOR the people driving on the street I am going to cross just because I want to make a left hand turn. I don’t believe in endangering others to make it easier on myself. So sometimes I just stay in the most right lane and drive through the light instead of turning left. Then I take a round about way home. But I get there just the same and I don’t stress other drivers or myself. Well, this happened yesterday when I was freezing and just wanted to get home. As I was deciding on my round about way home I realized I might as well just go to the grocery store since I was on that road already. We could always use fresh veggies so I decided to get some. While I was in the store a woman started talking to me about eggplant. She said it was too difficult to cook so when her neighbors gives it to her she just throws it away. For on brief moment I considered asking her if I could give her my phone number and she could call me and I would take it! Then we started talking about some of the other vegetables that were in the same area. She was saying collard greens are good for you. I told her that my husband loves them. She asked me how I cooked them and I told her I sautéed them. She said she fried them, the same as the eggplant. While we were talking I noticed the Kale. I always forget about kale. I was happy that we were talking and it allowed me to focus for a moment on the kale. I bought some. Kale is part of the cabbage family. It is just leaves. Kale is part of the family of vegetables that are called cruciferous vegetables. Some other cruciferous vegetables are broccoli, collard greens, cabbage, brussels sprouts, and cauliflower. You know how I don’t understand plant species and families and all that. But more and more research is providing information that these types of vegetables are very good for us in regards to nutrients we need. 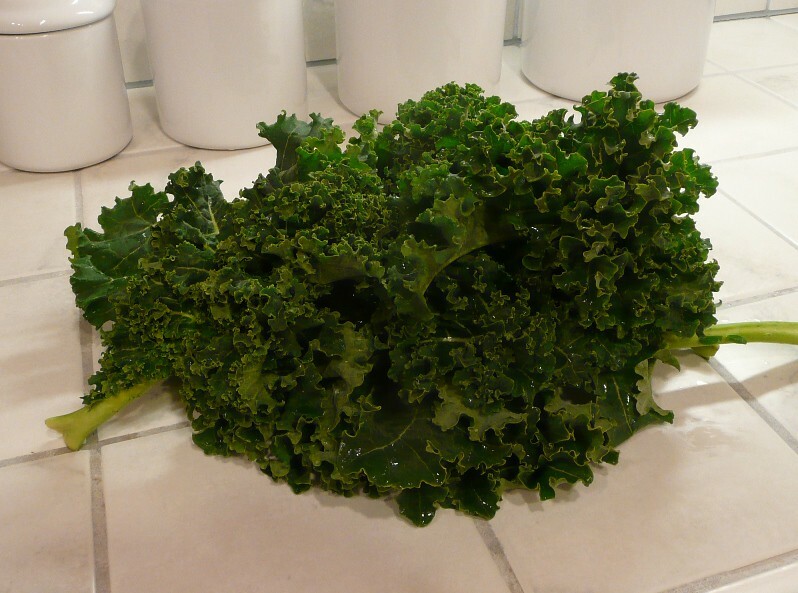 As much as we all know to take the governmental daily values with a grain of salt, a cup of kale has over 1300% of the daily value of vitamin K, over 350% of vitamin A, and over 80% of vitamin C. It also contains calcium and beta carotene. Research has shown that kale is rich in antioxidant, is an anti-inflammatory, and has properties that are thought to be of the anti-cancer nature. Steamed kale is thought to have cholesterol-lowering benefits. According to Wiki: Kale freezes well and actually tastes sweeter and more flavourful after being exposed to a frost. I, myself, am going to try to make the oh-so-talked-about-you-have-probably-heard-about-them kale chips. In fact I could swear that one of you — one of you that I read your blog — posted about kale chips, but I can’t remember who. I went looking but I couldn’t find the post. Anyway . . . do you eat kale? If you do how do you eat it? I am going to go experiment right now! I have to save up most of my “vertical” for my Nia classes right now. Even though I have injured/broke my toe I am still teaching my classes because Nia really is about the individual moving in his or her own way. But I still need to rest it as much as possible. Even though I am “letting go” of doing a few things this season, I am still trying to make it look “Christmasy” in the house. Since I was moving a lot today I was trying to come up with an easy dinner. Also, since I need to rest my foot my hubby has been cleaning the kitchen every night. So needing a quick easy dinner AND trying to use as few dishes that need hand washing as possible, AND trying not make a mess I was not thrilled with the thought of the mess that preparing broccoli makes. I am going to admit that I have been making less broccoli than I think we should eat because I do not like to deal with the mess it makes. I usually just cut it in the sink so I can just rinse all the little particles down the drain, but I didn’t even want to stand that long. So I realized that I could just cut it while it was in the bag. YAY!!! No broccoli mess. No little particles all over the place. Ok, I know this is a silly thing, but I thought it was a good idea. Saved me a lot of time. Since I am short on time that I can be ‘doing’, both this quick post and the quick tip are part of doing what I have to do in order to get to resting my foot in order to be ready for my Nia class in Los Gatos tomorrow. Do you have any quick tips about dealing with broccoli?